I have been planning to make kimchi for some time now, but my lack of gochugaru keeps thwarting my efforts. What is gochugaru, you ask? That was precisely my question. Gochu (chili pepper) garu (powder) is traditionally created in Korea by drying red chilis in the sun and is the key ingredient in any decent kimchi, I’m told. The difference between gochugaru and regular chili flakes is the level of capsaicin, the active component in chilis that make them spicy. The beauty of a traditionally dried Korean red chili is in the balance between flavor and heat, which is why it is worth the effort to seek it out. One source for all things Asian in New York is Hmart. You can order online, but I was looking for a field trip. So off to Kalustyan’s I went. 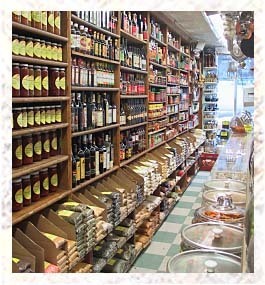 Founded in 1944, this specialty store in Murray Hill is a food landmark in NYC. According to their own website, they carry over 30 varieties of chilis and I can vouch for the accuracy in their advertising. They literally seem to have everything and Korean chili powder was no exception. Wandering the aisles might be on my top 10 list of things I love doing. But if you don’t live in the area, fear not – they sell it all online, too. So now I have my gochugaru and no more excuses for not making up a batch of kimchi. Stay tuned for the report! Any advice on this matter is welcome. This entry was posted on April 30, 2011, 7:54 pm and is filed under inspiration. You can follow any responses to this entry through RSS 2.0. You can leave a response, or trackback from your own site.